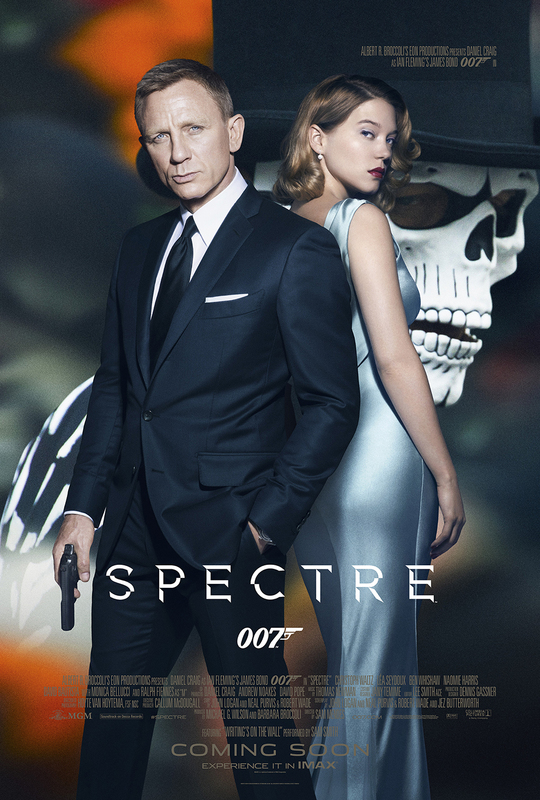 Another week, another SPECTRE poster. This one brings back the classic “007 with Bond girl”-motif, keeping the “Day of the Dead”-pic in the background – but with more colors! There´s also a new banner artwork – so one may doubt that this is the final one sheet. Maybe there´s another one combining Bond with the villain called… um… what´s his name?